This is an automatic translation by Google Translate. Please refer to English as the original version. Under the Data Protection Act and General Data Protection Regulation (GDPR) and the Federal Law “On Personal No. 152 dated July 27, 2006 we are required to explain why we are asking information about you, how we intend to use the information that you provide, and whether we will share this information with anyone else. We take you privacy very seriously and we ask you to carefully read this privacy statement to understand how we collect your information, what we do with your information, legal basis of processing your personal information, who your information may be shared. Profile photo (if user selected it). To install the avatar, the user must grant access to the files. E-mail address of account member. Mobile phone number of account member. Profile photo (Avatar) of account member (if user selected it). To install the avatar, the account member must grant access to the files. Access to SMS for sending setup messages. To personalized your profile so you can interact with and be recognized by users in your account. To provide, maintain, operate you the features and functionality of the Service..
For communication with user, send service-related communications. To send unsolicited marketing communications, according to your preferences. The basis for this processing is to perform the contract that is related to these accounts and the associated activities and services. The processing is necessary for our legitimate interests, namely administering the Service, and to communicate with you effectively to respond to your queries and complaints. We will use your personal information to the extent that you give us consent to it. Other users in your account, invited by you. Date and time of your transaction. To process your purchases through our Service. The basis for this processing is to perform the contract that is related to these associated activities and services. The processing is necessary for the detection and prevention of fraud for our legitimate interests. Date and time of your account activation. To provide, maintain, operate you the features and functionality of the Service. To develop new products and features, to improve the Service. To define products and services that may be interesting to you for marketing purposes. The processing is necessary to develop and improve our Service, which is necessary for the legitimate interests of our business. The processing is necessary informing direct marketing, which is necessary for the legitimate interests of our business. In-app purchase information with Google, Inc. or Apple Inc. for the purposes of purchase through app store and processing in-app purchasing. Location information through your device IP address, WiFi, Bluetooth, and GPS coordinates (e.g.,latitude/longitude) available through your mobile device of the account owner, as well as all family members added to it for the purpose of providing our Service. Geolocation of user designated «Places» to provide alerts when family members arrive and leave. You can turn off the location sharing so your location will be unavailable for account members, but the Company continues to collect your location in order to provide the Service (for example, display location to family members you allow to see your location). Company also may share location information with third parties for advertising and analytic purposes. Please see "Your choices regarding your information" section, if you want to opt-out your location data collection. You can restrict access to our application on your location. To provide functionalities of the Service to provide you with location-based application functions. Adjust the settings on your mobile device to limit app’s access to your location information. If you disable location information, we may not be able to provide all functionality of our Service. If you no longer want to use our Service, please uninstall our app or logged from our Service app and we will no longer collect your location. Information from the gyroscope, accelerometer, compass related to your motion such as: running, walking, bike, car, without movement. To provide functionalities of the Service to determine your mode of transport. IMEI of GPS watch: we need unique identifier to identify your device. Sound around the GPS watch: broadcasting an audio signal at the request of the parent allowed only to the users connected to the same account. To provide functionalities of the Service. Battery level for the purpose of displaying the battery charge. Sound mode of account member's phone for the purpose of displaying a sound or vibration mode. When you contact us directly by email or by technical support chat, we will record your comments and opinions. Company collects information when you messages other members of your family through our Service. All the user’s history messages stores on their own devices. User can delete chat history at any time. We also may collect messages you send to us (for example technical support in order to provide support). Company can also send to user business letters (For example, account confirmation, Premium confirmation, service fonctions change or update, security or technical notifications). To address your questions, issues, concerns. The processing is necessary for our legitimate interests communication with users, responding to queries, complaints, concerns. The processing is necessary to develop and improve our Service for our legitimate interests, which is necessary for the legitimate interests of our business. Information received from third parties, such as social network. If you interact with the Service, we may receive your name, profile information (your profile information, profile picture, gender, user name, user ID associated with your social media account, age range, language, country, friends list), and any other information that you permit the social network you share with third parties. Information that we receive depend of your privacy settings on social networks. To promote our Service such as tagging you in comments on our social media pages. The processing is necessary for promotion of our Service, which is necessary for the legitimate interests of our business. Please always review, and if necessary, adjust your privacy settings on third-party websites and services before linking or connecting them to Company’s Service. Your preferences set for notifications, marketing communications, how our services is displayed and the active functionalities on our Service. To provide notifications, send alerts, news, marketing communications, provide Service according to your choice. To ensure that we comply with our legal obligation to send only those marketing communications to which you have consented. The processing is necessary for correct receipt of marketing and other communications, which is necessary for the legitimate interests of our business. To monitor and improve our Service. The processing is necessary for administration and improvement of our Service, which is necessary for the legitimate interests of our business. Website from which you came. Website to which you are going when you leave our website. How frequently you access the Service. Time and how long you use our Service. Approximate location from you access the Service. Access the Service from multiple devices. Actions that you take in the Service. Remember information, so owners will not have to re-enter it every visit of Service. To monitor and improve our Service and business, to resolve issues and inform developers of new products and services. The processing is necessary for adapting our Service, which is necessary for the legitimate interests of our business. The processing is necessary for informing our direct marketing, which is necessary for the legitimate interests of our business. The processing is necessary for improving our Service, monitoring and resolving issues related to the Service, which is necessary for the legitimate interests of our business. Facebook Inc. due to the performance of interest based advertisement. Google Ireland Limited (AdMob), Google Inc. for the purposes of analysing information related to the Service crashes and due to the performance of interest based advertising. Unique ID of your computer, smartphone, tablet and electronic devices that you use in our Service for the purposes to identify your device in a unique way (UDID, IDFA, Google Ad ID - unique ID for advertiser or other identifier, Windows Advertising ID or other persistent device identifier or Ad ID). Device telephone number (if it has one). To present our Service to you when you use information or connect with us. To monitor and improve our Service and business, to resolvу issues and inform developers of new products and services. 2.2 Information about your current device state such as remaining battery changes, is your phone connected to Wi-Fi. To provide you some functionalities of the Service. Your IP addresses may help us define your approximate location. To inform and plan our marketing strategy. Google Ireland Limited (AdMob), Google Inc. due to the performance of interest based advertising, including app-store advertising..
Apple Inc. due to the serving app-store advertisement. Provide custom personalized content, including advertising. Monitoring of the effectiveness of our Service, and marketing campaigns. Diagnosis and troubleshooting of technical problems related to the above data (IP address, user ID) and automatically update mobile application on user device. Automatically update mobile application on owner device and related devices. Analytics. To improve the quality of Service, third-party analytics tools can be used. These tools collect information sent by your mobile device, browser, including visited pages. We can anonymize and aggregate any personal information we collect and it does not identify you directly. We may use anonymous information for purposes that include testing our IT systems, researching, analyzing data, improving our Service, and developing new products and functions. We may also share such anonymous information with others. We may link or combine the personal information we collect about you and the information we collect automatically. This allows us to provide you with a personalized experience no matter how you interact with us. Company will store the personal information that we collect about user for no longer than necessary in paragraph “WHAT INFORMATION DO WE COLLECT?”and “INFORMATION COLLECTED AUTOMATICALLY” for the purposes described there, according to our legal obligations and legitimate business interests. Company takes care of our users and takes all sorts of technological, administrative, physical, reasonable protective measures aimed at limiting unauthorized access, use or disclosure of personal information of our users. Despite these measures, the user should know that the Company can not completely eliminate the risks related to security and can not guarantee the security of our service 100%. In case of any information under our control is compromised because of security breach, Company will take necessary steps to investigate the situation, the Company will notify users whose information is compromised and will act in accordance with any applicable laws and regulations. Company will never send you unsolicited emails or contact you by phone requesting your account ID, password, credit or debit card information or national identification numbers. Other users in your account. We may share your name, location with other users at your request and according to your preferences. Providers of Service, business partners, advisors. We may share your personal information that may include providing payment, email or chat services, fraud prevention, web hosting, or providing analytic services with third party service providers that perform our Service or on our behalf and vendors. Purchasers and third parties due to the business transaction. Your personal information may be disclosed to third parties due to the transaction, such as a merger, sale of assets or shares, reorganisation, financing, change of control or acquisition of all or a portion of our business. exercise or protect the rights, property, or personal safety of Company, its users or others. We take care of our users and takes all sorts of technological, administrative, physical, reasonable protective measures aimed at limiting unauthorized access, use or disclosure of personal information of our users. Despite these measures, the user should know that no security system is impenetrable and Company cannot guarantee the security of our systems 100%.The user is also responsible for the security of his personal information. To protect personal data, the user should not give the login and password to third parties. In case of any information under our control is compromised because of security breach, Company will take necessary steps to investigate the situation, the Company will notify users whose information is compromised and will act in accordance with any applicable laws and regulations. Periodically, we may contact you with information about our products and services. Most of the marketing messages we send will be sent via email or push notifications on your device. You can change your preferences later by clicking on the “Unsubscribe” link at the bottom of our marketing mailings. Please note that if you refuse or do not consent to receive marketing-related messages from us, we can still send you non-marketing messages, such as messages regarding the provision of our Service. Right to correct any mistake in your information. You can require us to correct any mistakes in your personal data which we had about you where it is inaccurate or is incomplete. Please write us via email privacy@kid-control.com so we can put it right. We will respond to you within the time frame specified within the applicable data protection law, which is generally within one month of receipt of the request. Right to be informed. We must inform you how we’re doing to use your personal information and we do this via our Privacy Statement. You have objected to our processing of your data, and we are considering your objection because we have said the processing is necessary for the purpose of our legitimate interests. Processing is unlawful and you do not wish for the data to be erased but require restricted processing of the data instead. We no longer require your personal data but you require the data to establish, exercise or defend a legal claim. Direct marketing. If you object to our processing of your personal data for direct marketing purposes, we will stop processing your personal data for this purpose. Statistical purposes. If you object to us processing your personal data on this legal basis, your objections should be based on the basis of your particular situation. Right to edit. You may also edit your user profile information and contacts to do it you need to log in into your account on the app, and opt out of certain processing activities, such as the location and movement information. Please note that Company may not be able to provide functionalities of our Services to you if you opt-out of the collection of location and movement information. Right of portability. You can obtain and reuse your personal data for your own purposes. You may decline to submit any personal information. In which case the Company may not be able to provide Service to you. Account Information and Settings modification. User may at any time modify and correct or update, amend account information and settings, including personal information and password. Deletion of account and personal information. User also may delete his account and personal information or delete the application. Company retains personal information while account is active and as long as needed to provide user our Service. Emails and Notifications. User can control receipt of email and text alerts by visiting “Settings” and “Alert Options” within the mobile app. User can stop receiving advertising and promotional emails. To do that please click “Unsubscribe”. User may not opt out of Service-related messages (for example, account verification, confirmation of the Premium order, change or update of the Service's features, technical and security notifications). Third Party Tracking and Advertising. We may share, or we may permit third party ad networks, social media companies, and other third party services to collect, information about your use of our Services over time, including location information, so that they may play or display ads that may be relevant to your interests on our Service as well as on other websites, apps or services, or on other devices you may use. We may also display targeted advertising to you through social media platforms, such as Facebook, Twitter and others. These third party ad partners may collect information such as clickstream information, timestamp, hashed email address, device ID or Ad ID, your use of third party applications and/or precise geolocation data and other information, and may use your unique identifiers to recognize you across various devices you use. We and our advertising partners use this information to make the advertisements you see online more relevant to your interests, as well as to provide advertising-related services such as reporting, attribution, analytics, and market research. Interest-based advertising. To learn about interest-based advertising and how you may be able to opt-out of some of this advertising, you may wish to visit the Network Advertising Initiative’s online resources, at http://www.networkadvertising.org/choices, and/or the DAA’s resources at www.aboutads.info/choices. You may also manage certain advertising cookies by visiting the EU-based Your Online Choices at www.youronlinechoices.eu. http://youradchoices.com/appchoices and downloading the mobile AppChoices app. Google Analytics and Advertising. We may also utilize certain forms of display advertising and other advanced features through Google Analytics, such as Remarketing with Google Analytics, Google Display Network Impression Reporting, the DoubleClick Campaign Manager Integration, and Google Analytics Demographics and Interest Reporting. These features enable us to use first-party cookies (such as the Google Analytics cookies) and third-party cookies (such as the Doubleclick advertising cookie) or other third party cookies together to inform, optimize, and display ads based on your past visits to the Service. You may control your advertising preferences or opt-out of certain Google advertising products by visiting the Google Ads Preferences Manager, currently available at https://google.com/ads/preferences or by vising NAI’s online resources at http://www.networkadvertising.org/choices. Third Party Location Sharing. 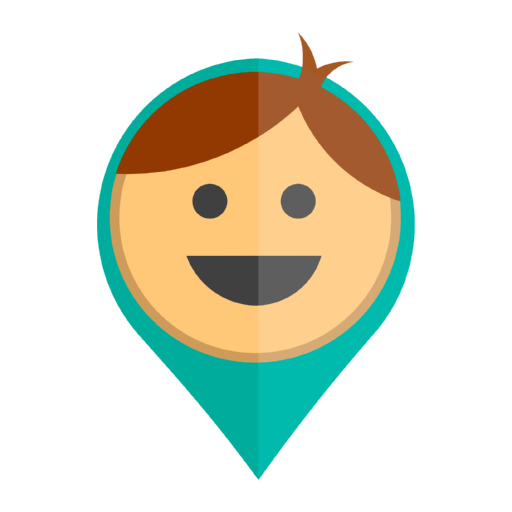 By collecting your location we provide our Service and may share you personal information with other users in your account and with third parties for advertising or other purposes. Limit location sharing in your account. You may hide your location to the account members and also hide your location from a specific user within your account. Company will not show your hidden location but will continue to collect it to provide a Service, for example to show your location for other members that you allowed, provide location-based advertising and to provide emergency services. Limit location collection and sharing. You can opt-out of sharing your location data with our third party partners by configuring your settings on your mobile device to forbid Company from collecting your location data. Depending of your mobile devices you may be able to “Turn location service ‘off’” and also adjust device settings to withdraw permission for Company. We and our third party partners may continue to approximate your location based on other data. If you disable location services please know that Company may not be able to provide our Service to you. If you think that we have problems with the processing of your personal data, we recommend that you contact us directly via email privacy@kid-control.com to see if you can solve your problems. You also have the right to lodge a complaint with your national data protection authority. Additional information on how to contact your local data protection authority is available at http://ec.europa.eu/justice/data-protection/bodies/authorities/index_en.htm. The service can be used by children only with the consent of the parent or a person with parental responsibility for the child. A child’s device can only join to a parent (or a person with parental responsibility) account created in our Service. Under the Children's Online Privacy Protection Act (COPPA) of 1998, if you want to add your children under the age of 13 to your account, you need to complete Consent Form.pdf and return it to us by email privacy@kid-control.com. Services are provided only with the approval and direct participation of the parent. Child will be able to participate in the Service as a member of the parent account. Personal information of the child (user name, email, location) will be shared within the parent account. Company collects, uses and stores the child's personal information, as described above. However, Company does not share the child's personal information to third parties for marketing or advertising purposes. The parent may contact us to review or change and/or delete and/or to withdraw permission for Company to collect any additional information about the child. If you become aware that your child has provided us with personal information without your consent, please contact us using the information below so that we can take steps to delete such information and cancel any account created by your child with us. The personal information of the child will only be available in parent account. We will collect and use personal information of the child according to this Privacy Statement. We will not use child information for advertising purposes and permit our third parties partners to use child information for advertising purposes. We do not contact children under the age of 13 and do not permit third parties to contact children under the age of 13 who access and use our Service.